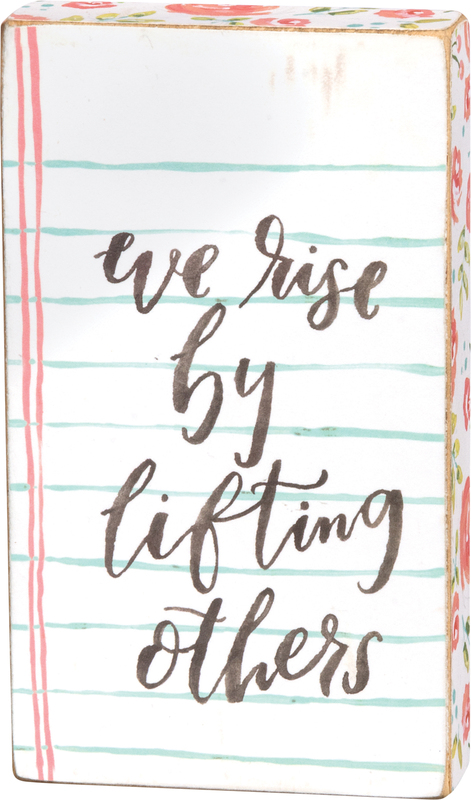 A watercolor art-inspired wooden box sign lending a hand lettered "We Rise By Lifting Others" sentiment with lined paper background and floral patterned trim. 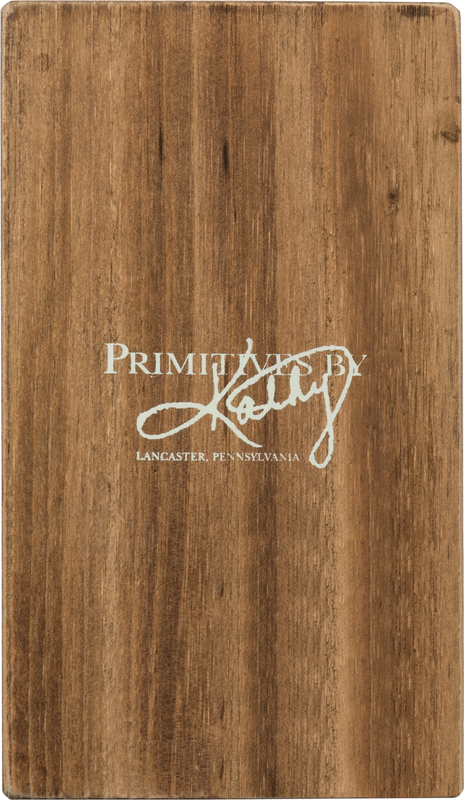 Easy to hang as a gallery wall accent or can free-stand alone on a shelf, mantel, or desk. Size: 3.50" x 6" x 1"